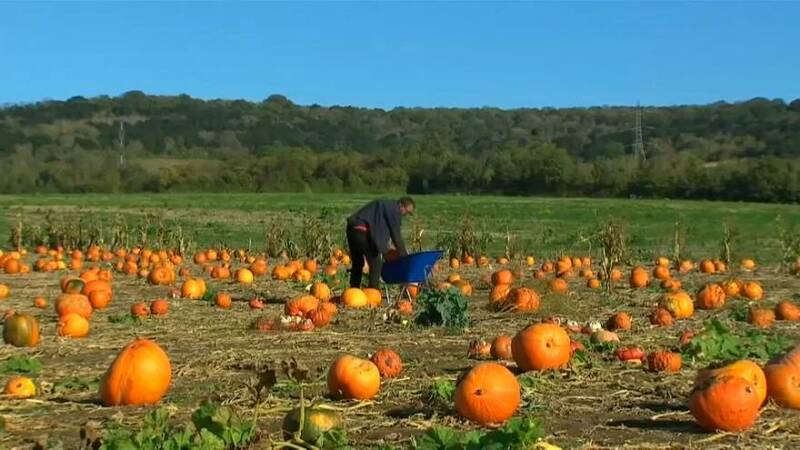 A pick-your-own pumpkin patch boasting over 70 varieties of the fruit in Kent, south-east England, is getting British families into the Halloween spirit. Farmer Charlie Eckley plants his seeds in May and by the time Halloween comes around his 22-acre site in Maidstone is abundant with pumpkins, squash and gourds of all shapes and sizes. His farm is also flooded with families who come to pick them. As well as encouraging people to feast on them after they've served as spooky decorations, Eckley says he enjoys introducing people to the great outdoors. "I love Halloween, I love encouraging people out into the farm, into the countryside, to get out of the house, so it's not just my love of the actual pumpkins themselves, it's to get families out enjoying the countryside, getting fresh air, in a field," he said.